How to Find and Fix Roof Leaks? Leaks in the roof are a serious problem if they are not fixed immediately. This is because a small leak can turn into a big problem such as a damaged ceiling, because mold formation, bring out rioting in the roof frame and sheathing or destroy the insulation that it provides. If this were to happen to your home, living in your home with being unbearable. Much of these problems arise because homeowners do not pay attention to the first signs of leaks. You might have noticed the first water stains in the roof about two or three years back, but did not take any action. Now, you are faced with a huge repair bill caused by sudden overwhelming leaks that have to be fixed immediately. If you had checked up the roof when the problem had first occurred, its repair costs would have been almost nothing. How to Find Roof Leaks? How do you find out if the first signs of water leaks? There are some very simple ways through which you can do leak detection. When you find a particular area of the roof showing leaks, you can investigate it more by removing shingles in the area. Signs of leaks include water-stained sections or rotting wood. Another way in which you can easily detect leaks is by going to the attic. If you find water stains or mold formation here, it is a sign of a leaking pipe. Leaks can occur in various parts of the roof such as its cladding, flashing, shingles, and brick chimney. Examine these areas of your attic or by getting on top of your roof will help you find the source of the leak. A common cause of leaks is plastic roof vents, which can be fixed only through replacement. While replacing them, check up on missing nails at the bottom edge of the vent and replace them with rubber-washer screws. Another source of a leak is un-nailed step flashing that intersects at the roof. Each section of the flashing will send water over the shingle, however if the flashing is not nailed properly, water will run behind it and inside the home. Such flashing has to be replaced. You need to remove the shingles and deftly loosen up the siding to removing the flashing and then replace it with a new one. In case of very small water leak detection, you can find them out by looking under the roof for shiner, which are nails that are pushed properly into the frame. These nails look white because they are covered in ice and when the ice melts, it can appear like a water leak on the roof. Just clip the nail off to stop this problem. Why Take The Services Of A Professional Leak Detection Agency? In case of highly complicated roof leaks that cannot be found by ordinary examination, you need to take up the services of a professional leak detection agency. 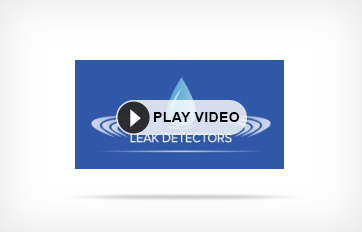 Look into a listing of reputable water leak detection services in your city. For example, if you live in Melbourne, check out reputable leak detection Melbourne services to have your roof leak fix immediately. They will perform leak detection using non-evasive methods such as electronic roof leak detection or thermography roof leak detection which gives effective results and which will not take much time in leak to be carried out. This entry was posted in Leak Detection and tagged leak detection, Roof Leaks. Bookmark the permalink.